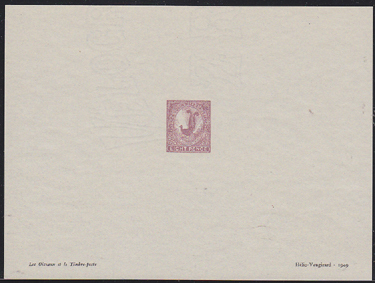 15586 EP NEW SOUTH WALES (1888) Lyrebird*. Presentation proof printed by Helio-Vaugirard in 1949 to demonstrate their printing techniques. Scott No 81. 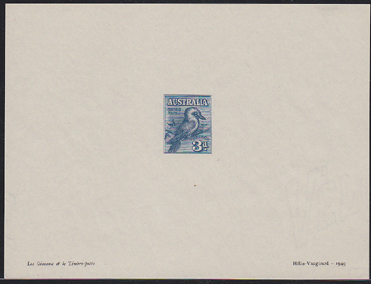 15592 EP AUSTRALIA (1928) Kookaburra*. Presentation proof printed by Helio-Vaugirard in 1949 to demonstrate their printing techniques. Scott No 95, Yvert No 59.